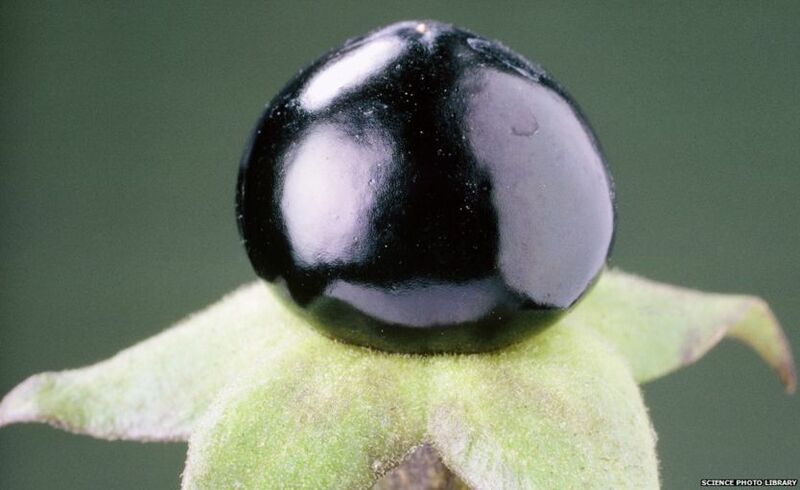 Nightshades have a deadly reputation but these plants, steeped in myth and folklore, have been used for thousands of years for medicinal purposes. 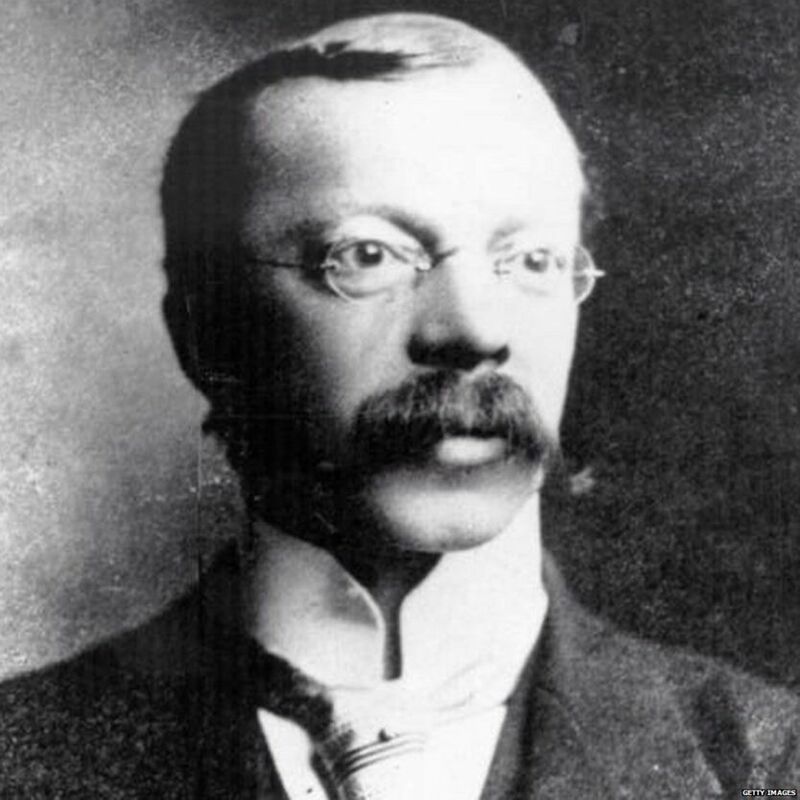 And they may have properties that could keep us healthy today, writes Mary Colwell. "J K Rowling was extremely good at botany, and one of the plants she put into Harry Potter was mandrake," says Sandy Knapp, head of the Plants Division at the Natural History Museum in London. In Harry Potter and the Chamber of Secrets, Prof Sprout shows Harry and his classmates how to repot young mandrakes, but not without everyone wearing earmuffs. "The cry of the mandrake is fatal to anyone who hears it," says Hermione, showing off her knowledge to the class. But the students are dealing with young plants which are not quite so dangerous. Prof Sprout points out that as they are "only seedlings, their cries won't kill yet… but they will knock you out for several hours". The pupils cover their ears and Harry pulls a mandrake out of its pot. "Instead of roots, a small, muddy and extremely ugly baby popped out… He had pale green mottled skin, and was clearly bawling at the top of his lungs." The scene is based on a medieval myth - it was believed that when pulled from the ground the root emitted a shrill cry that drove people mad and killed them. The plant also features in Shakespeare's Romeo and Juliet: "What with loathsome smells, And shrieks like mandrakes torn out of the earth, That living mortals, hearing them, run mad." Herbalists who wanted to use mandrake were advised to plug their ears, tie the plant to a dog and place some meat out of reach - then when the dog ran to the meat it would pull the screaming root out of the soil. The dog would die, but the herbalist would get the mandrake safely. This practice was actually recorded by the renowned Spanish Muslim herbalist Ibn al-Baitar in the 13th Century. Fortunately, he relates that when he tried it the dog was unharmed. 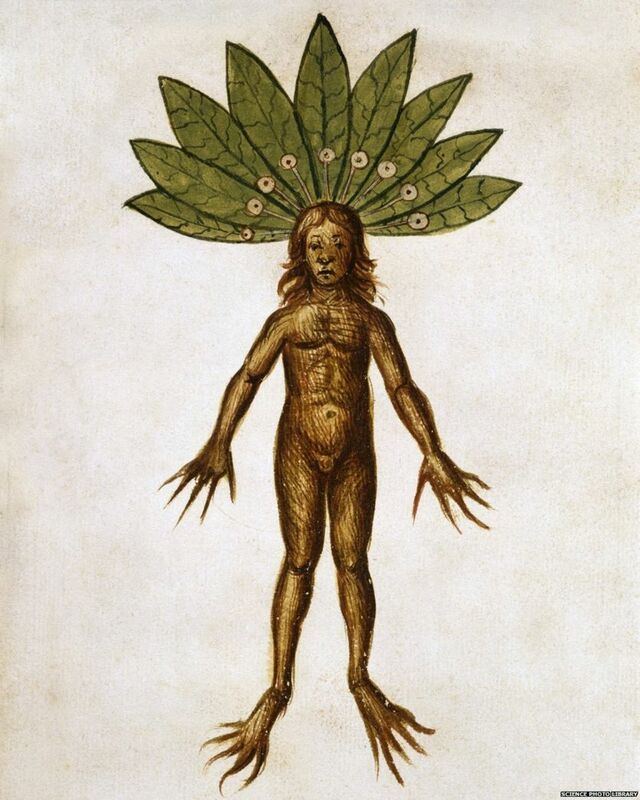 The mandrake is steeped in folklore, myth and legend. "One of the reasons I think they were called mandrakes is that often the mandrake root will branch and it looks like it has little legs like people," says Knapp. 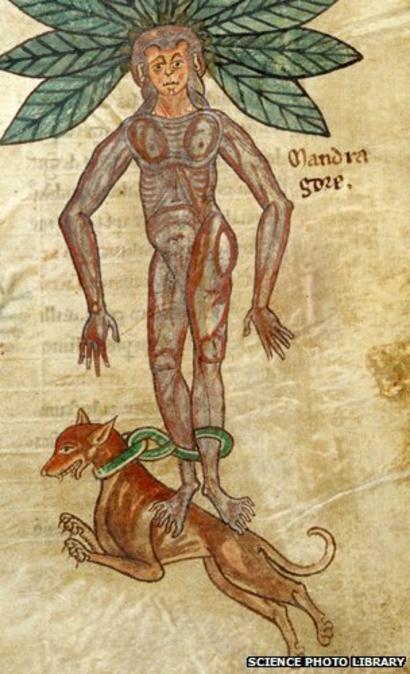 "In all the medieval herbals the mandrakes were always drawn with heads, then the bodies would be the roots with the legs crossed." The plant grows in arid areas around the Mediterranean and Middle East where it has been used as a hallucinogen, painkiller, aphrodisiac and fertility drug for thousands of years. But the dose has to be right. "In essence, if you were to consume it you would basically get hallucinations, dizziness and increased heart rate, and you could get disturbed vision as a consequence of it, and then disturbed cognition. If the dose is high enough it could kill you," says Prof Michael Heinrich from the School of Pharmacy at UCL. Witches were said to put it in potions which sent them flying around the world on their broomsticks. An early reference to mandrake being used as a fertility drug can be found in the Bible in the Book of Genesis (30:14) where Rachel tells Leah she can spend the night with her husband in exchange for mandrakes, which she hopes will help her to conceive. But the roots were also used for dastardly deeds by murderers and a relative of mandrake, henbane, was used by Dr Crippen to kill his wife in 1910. It is also said that mandrake-infused wine was offered to those being crucified to hasten the end. And later the root was believed to grow where the bodily fluids of murderers dripped beneath the gallows. Few plants are the subject of so many diverse stories. The mandrake is just one of 2,500 species belonging to the Solanaceae family, which also contains tomatoes, potatoes, chillies, aubergines, peppers, tobacco, deadly nightshade and henbane - they are commonly called the Nightshades. They all contain powerful alkaloids that affect the human body. But "it's like the two headed coin, there's the bad guys and the good guys," says Knapp. 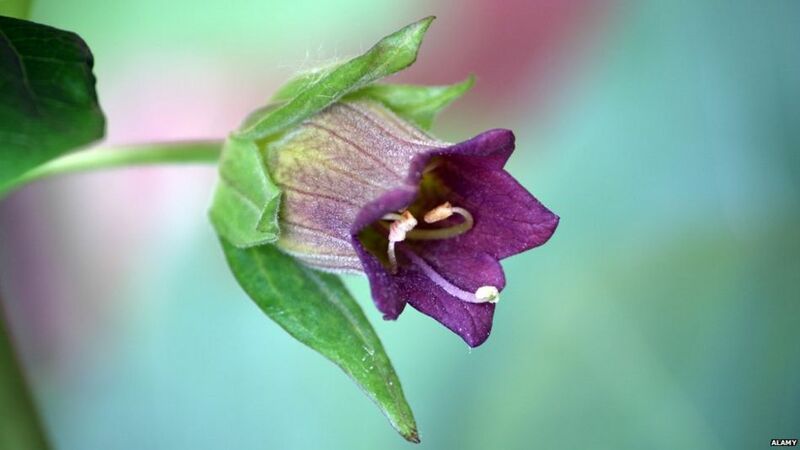 "In Europe we have things like mandrake and henbane and deadly nightshade, so Solanaceae in Europe are baddies, they are not to be touched and not to be eaten and not to be meddled with. "The potatoes and tomatoes from the New World don't have those poisonous compounds in them, they have a different type of compound which was used at one time as a basis for making birth control pills." Today around 164 million tonnes of tomatoes and 376 million tonnes of potatoes are grown for food each year. But when tomatoes and potatoes first arrived in Europe from South America in the early 1500s, they were treated with suspicion because they looked so similar to the Nightshades. "The tomato was characterised in early herbals as a strange type of mandrake, so people weren't that keen," says Knapp. As a result, tomatoes were grown as ornamental plants in Northern Europe and North America until the 18th Century. The potato was also viewed with suspicion for a while. Eating a mandrake root was certainly not recommended so why risk a potato? But when we did, its effect on Europe was extraordinary. "You have a very important part of the English and Northern European diet coming in about 1600 to 1700," says Andrew Smith, writer and lecturer in food history at the New School University in New York. "And it's the major reason why in Northern Europe populations doubled in a hundred years, which is a fascinating story of demographics." 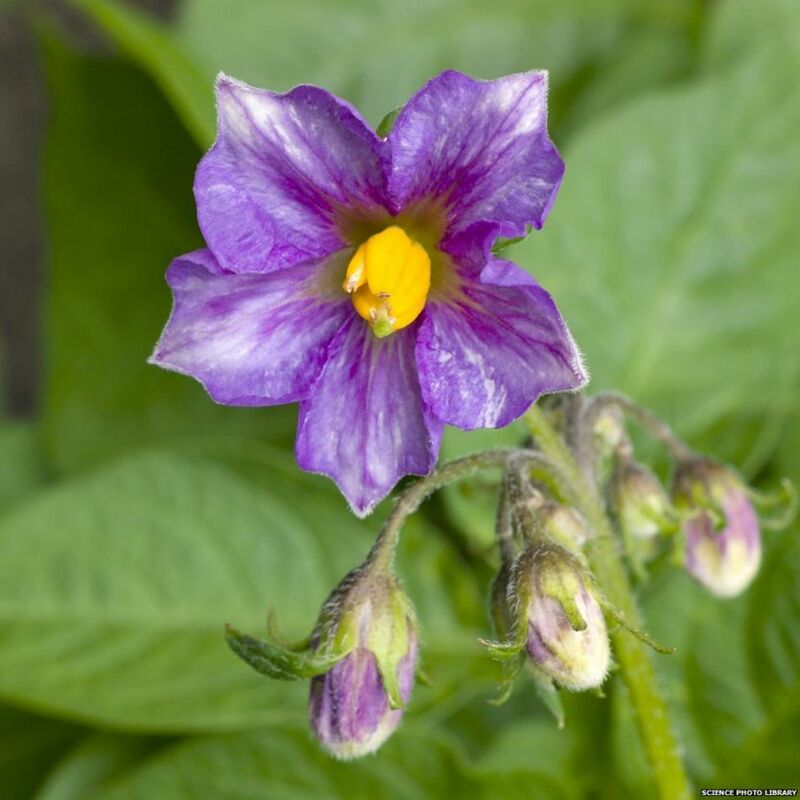 Potato tubers provide starch and vitamins in abundance, but the fruits of the plants are to be avoided - they contain solanine, one of the poisonous alkaloids of the Nightshade family. Dr Edward Giovannucci, a professor of nutrition and epidemiology at the Harvard School of Public Health, conducted experiments in the late 1990s to show that men who ate two or more servings of tomatoes a week reduced their chances of developing prostate cancer. It's all due to the lycopene found in tomatoes. "The shape of the lycopene molecule makes it very effective in being able to quench free radicals," he says. "We don't really understand it entirely yet, but lycopene may have specific properties that protect the cell in a way other antioxidants may not." Investigations continue into the ability of tomatoes to help reduce blood pressure, prevent strokes and reduce cholesterol. Red peppers too are being investigated to see if they can help reduce the risk of developing Parkinson's Disease, and the whole family is considered to be, "the most promising plant species to develop as efficacious and safer medicines for diabetes and its complications," according to the Journal of Drug Delivery and Therapeutics. The Nightshades are a diverse group of plants that feed us, poison us, send us on mind-bending trips, dull pain and look pretty in gardens (petunias are part of the family). From witches brew to modern medicine, they are still fundamentally part of our lives and they continue to work their magic.